WE'RE ON THE ROADI TO... NEW YORK! It's been a while since we've hit the roadi, but we're back for one night only in the greatest city in the world, New York! Ok, ok. I live in New York City. And Jodi's a quick train ride away on Metro North. Still, we're headed out on an adventure, and we want YOU to come along. 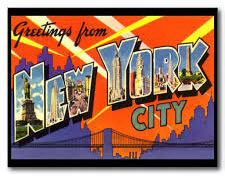 Keep an eye on Twitter -- Big Apple, here we come! Our bags are packed and we're ready to hit the road. Oh say can you see... DC, here we come! We (I?) think it will be fun to share the hilarious, crazy, annoying, and otherwise unusual things we find along the way. So starting today, we'll be tweeting our travels as they happen, which you can follow right here on this blog via the Road Tweets column to the right (they won't update unless you refresh the page... lame). OR you can follow on actual Twitter, if you are so inclined. When we return from our trip, we'll post a full review of all the places we saw, shopped, ate, drank, and slept. Donkeys and elephants look out! Here come the Stags. 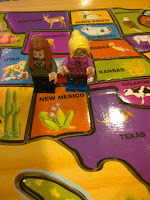 Remember when fate told us to go to New Mexico as the first stop on our tour of all 50 states? Eh. What does she know? 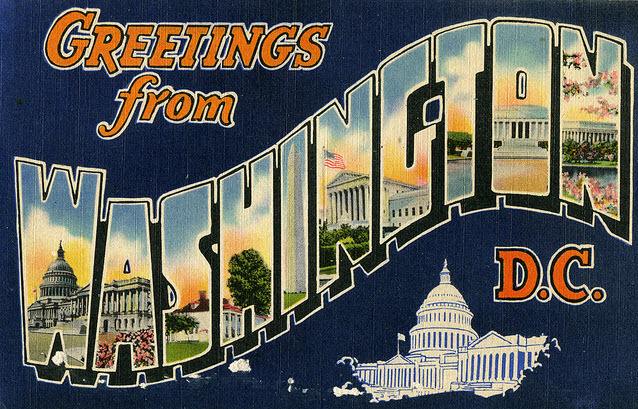 Sure, we’ll get there… by way of DE and now, DC! Yes, it’s another detour and T-4 days until we head to our nation’s capital (which isn’t even technically a state) for Thanksgiving weekend. It’s the perfect time because all the turkeys will have headed home for the holiday and we’ll have all 61 bipartisan square miles to ourselves. The Exorcist: This movie was released the year we were born. We will celebrate by climbing the infamous staircase while spraying pea soup from our demonic heads. Wag the Dog: We too may manufacture a war in Albania so we can be heroes and save the day. Primary Colors: Gov. Jack Stanton was inspired by Jodi’s favorite leader of the free world, an expert in politics and philandering (rhymes with Phil Blinton). Wedding Crashers: We would be amazing at this. I can talk the paint off a wall and Jodi is a master at the Electric Slide. The state bird is the Wood Thrush (they are monogamous, unlike many of DC’s human residents), the tree is the Scarlet Oak, and the flower is the American Beauty Rose (yes, THAT one). DC averages more inches of precipitation than Seattle each year. Is it rain or taxpayer's tears? Who can tell. The White House was originally called the “President’s Palace,” but a reporter called it a “white house” and it stuck. The famous red phone seen in movies isn’t in the Oval Office, it’s in the Pentagon. The Pentagon has 17.5 miles of hallways. 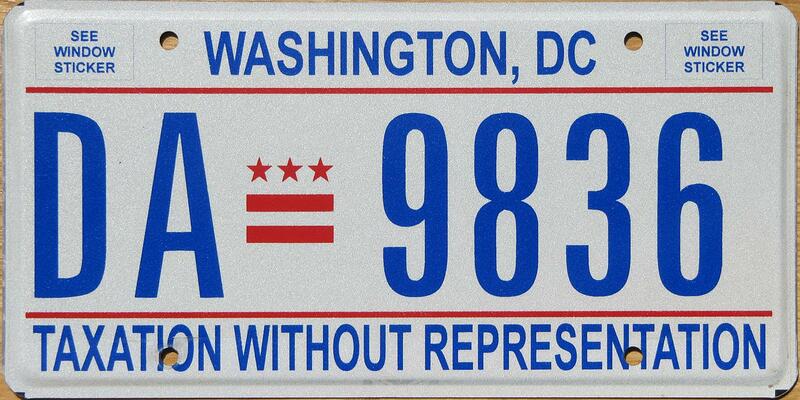 DC’s motto may be “Justice to all” but its residents are the only Americans who pay federal income tax without any representation in the US Senate – they have only a non-voting delegate in the House of Reps. Lame. DC has 1 lawyer for every 19 residents and 74 lobbyists for every 1 Senator. DC also consumes the most wine per capita. Got a headache? Me too. There are no skyscrapers in DC. Abe Lincoln’s monument hands are not flashing gang signs, they are making the “A” and “L” symbols in sign language. 8 presidents died in office and 3 more died on July 4th. There have only been 44 presidents -- I think Turnpike toll-takers have a better mortality rate. 8 presidents never attended college, and the college that has the most presidential alumni is Harvard -- with 7 total. The oldest president inaugurated was Ronald Reagan (age 69), and the youngest was John F. Kennedy (age 43). The tallest president was lanky Abe Lincoln at 6’4” and the shortest was James Madison at a tiny 5’4”. The term “First Lady” was invented by President Zachary Taylor during Dolley Madison’s funeral. DC is known for Ethiopian food, but its signature dish is the Half Smoke, a large hot dog covered in mustard and onions served at Ben’s Chili Bowl – where only Bill Cosby and the Obamas eat for free. Stay tuned to Twitter starting on Friday for our trip live as it happens. If you have any suggestions, list them below! We'll post the 411 on (202) when real life is back in session. 11/11: I wrote this post months ago and somehow it never published. Since then, Geno's owner, Joey Vento, has passed. While I still stand by our choice, Philly wouldn't be the same without his landmark. I'm sure they're eating well -- and speaking English -- in heaven. When faced with a city as dull as Wilmington, DE, the only sensible thing to do is to leave immediately and high-tail it up to Philly. We arrived in 30th Street Station early that Sunday and made a beeline for the taxi stand. Liberty Bell? Nah. Rocky Steps? Later. It's Pat's & Genos, on the double, for the city's signature dish. 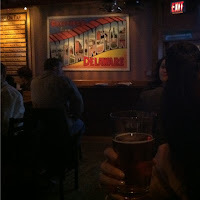 The intersection of 9th and Passyunk was our first -- and only -- stop. 1) Go to Geno's Steaks first. It's flashy and amongst the celebrity memorabilia, you notice that owner Joey Vento inexplicably endorses Trump for president. Don't be discouraged by the line that wraps around the place -- it moves fast. When you get to the 1st window, order a steak sandwich with Cheez Whiz and onions At the 2nd window, order Freedom Fries. Then belly up to a counter and split this feast with a friend. You'll still be left wanting more, which is good because you need to save room for your trip across the street. 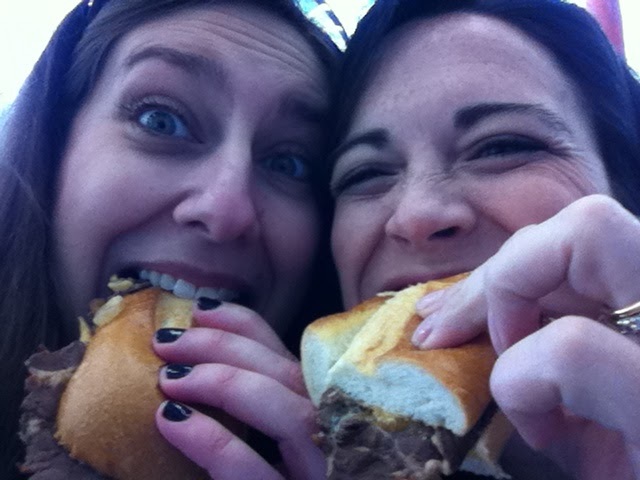 2) Go to Pat's King of Steaks. It's unassuming, and the line takes longer, but it's worth the additional wait (and the additional weight). 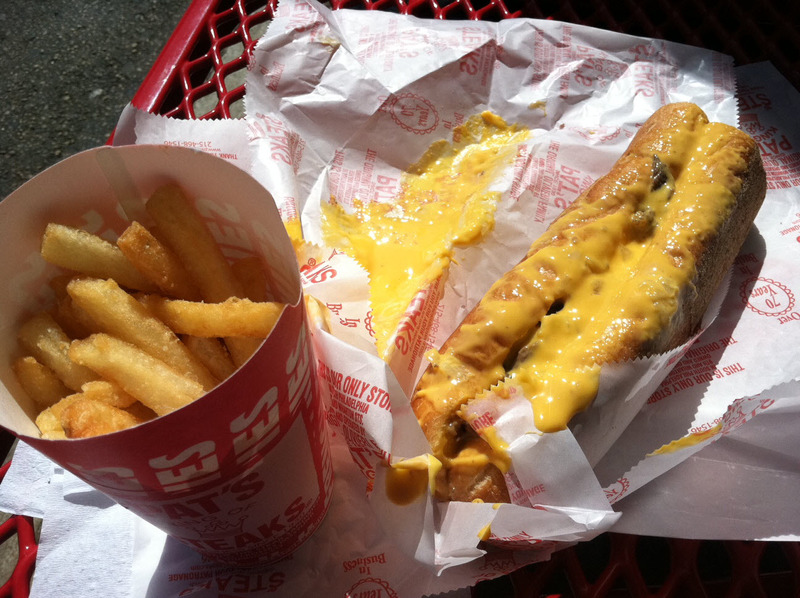 If you want to order like a local, say you want "whiz wit," or Cheez Whiz with onions. Get some fries here too, so your sandwich doesn't get lonely. Sit at a picnic table and split this new feast with your buddy until you're both stuffed. Then eat a little more. 3) Whatever you do -- and this is totally serious -- DO NOT CROSS STREAMS. Never bring a Geno's to a Pat's or vice versa. It's disrespectful. Have the full Geno's experience, THEN have the full Pat's. (Having the full Monty, however... is entirely up to you.) Anything less is un-American. 4) Now it's time to choose a winner. You'll appreciate that both sandwiches are made on fluffy buns with thinly-sliced rib eye. You may have a preference for your meat to be chopped (Pats) or whole (Geno's). Onions are onions, so really, it comes down to the cheese. Geno's skimps on the whiz because they think provolone is proper. But Pat's lays it on thick in all it's orangey glory, and THAT makes Pat's king. Tonight for dinner, I ate a 3-year old Hot Pocket from the back of my freezer. Thankfully, I have the memories of the most delicious streetcorner in country to keep my tummy warm. 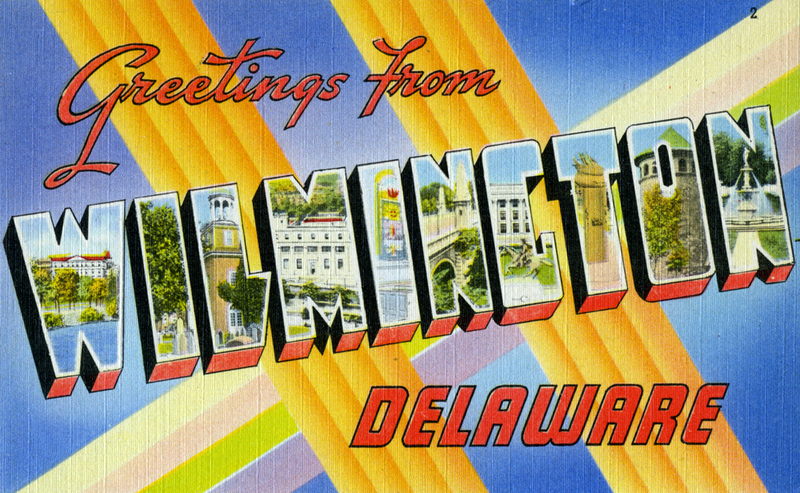 As you know, Jodi and I went to Wilmington, DE this past weekend. The 1st stop EVER on our 50 state road trip. Exciting! We'd planned to spend 2 days there, but from start to finish, we spent less than 24 hours. I'm sorry, no offense, Willy, but a bustling metropolis you are NOT. You're not even a quaint, sleepy village. Clearly, we caught you at a bad time. I think the lesson here is do not visit any city in the off-season if you expect businesses, shops, restaurants, parks (or any other place you might want to visit) to be open. Or if you wanted to see actual local people outside. But if you're a loner and a recluse, go for it. It seems like we would have gotten a different impression of Wilmington if we'd visited anytime from April thru November. We could have perhaps taken in a minor league ballgame, or gone to the track, or even tried Punkin Chunkin. That could have been delightful. On March 19th, however, there was a whole lotta nothin' going on. 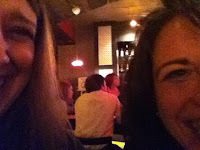 THE RECAP: We took different trains into town because Jodi had a bridal shower to attend, and I wanted to sleep late. Snoozy snoozy. 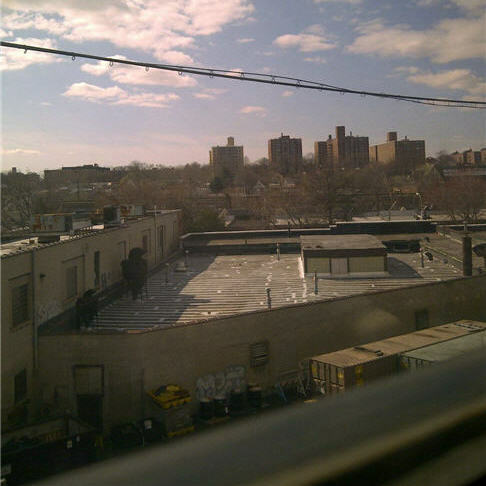 Somewhere just outside NYC, Jodi's train stalled (see picture) because of some power outage stretching all the way down to DC. So there she sat. Strike one. I, on the other hand, had no trouble with my train (and was delighted to find that there are power outlets in each seat). But I had a horrible time navigating the terminal -- both in NY and in DE. I must be a moron. I couldn't understand where the terminal was, I couldn't read the board, I couldn't find gate. It's a miracle I got down there at all. Strike two. On the way back, we tried rebooking our tickets so we could get out of Dodge early. The agent clearly knew we were traveling together, but somehow sold Jodi the very last seat in coach, leaving me no other option but to buy a business class ticket. While I AM super fancy, this was NOT what we had in mind. Strike three. THE HIGHLIGHT: The biz class ticket gave us the opportunity to play Secret Millionaire and treat someone to an upgrade. In the station, it was tough to give the ticket away without seeming shady. But down on the tracks, we spotted a good candidate. We saw a young girl, eavesdropped on her conversation with her mom (where she was visibly upset about how she couldn't afford her ticket), and spied over her shoulder to see that she was also going to New York. That's when we made our move. She was all too thrilled to get the ticket, and said we'd made her day. Awww! That felt good and made all the sketchy stalking worthwhile. So she was me, up in business class, probably being fed grapes while getting a foot massage, and I was a young girl named Bridget, sitting back in coach with my buddy. Win, win. THE MUST-DO: Sit in a window seat so you've got easy access to the plug, and plan a pit-stop in Philly on the way home (more to come on that in our next post... stay tuned, or just read Twitter). THE RECAP: We'd heard that the Hotel Dupont was the place to stay. But spending $400/night in Wilmington just wasn't in the cards, or the budget. The DoubleTree quickly became the obvious choice with 2 words: Free Shuttle. Nevermind, they only had king-sized beds available, and all the reviews said that the hotel wasn't exactly modern. It had a free shuttle! Since Jodi was at the shower, I got to the hotel first to check us in. I decided to see if I could finagle us into a room with 2 beds. And I did! 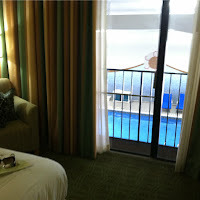 Unfortunately, that room (#222 for anyone keeping score) faced an indoor pool (see picture). 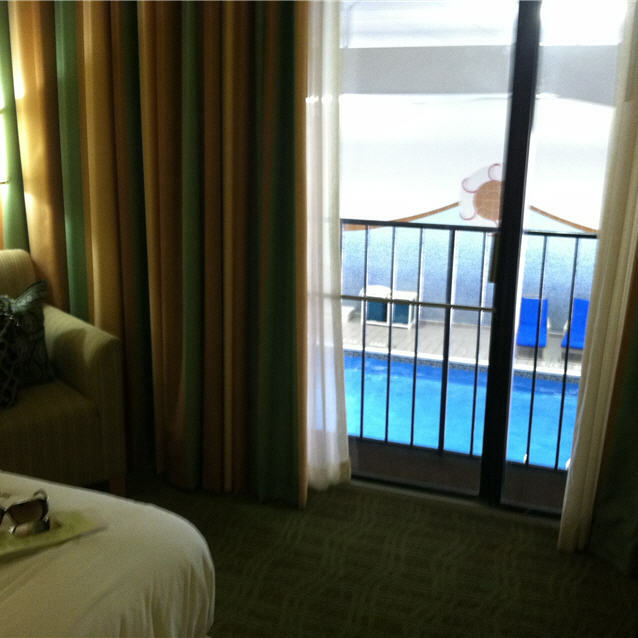 So the whole room -- actually no, the whole 2nd FLOOR -- stunk of chlorine. Eye-stinging, nose hair-burning chlorine. I knew we had to move. So I marched back down to the lobby and got us a new room (#323). Switching meant losing the double beds, getting welcomed by the pile of trash outside the room, and looking out onto a scenic view that included the roof of the parking garage and a dead bird. But at least my eyes stopped tearing. THE HIGHLIGHT: This is a toss-up. The warm chocolate chip welcome cookies we were given at check-in was a treat, particularly since I hadn't eaten all day. I was thisclose to eating Jodi's too. And I would have, if I didn't spot her in the lobby. Equally delightful was the free shuttle ride we took back to the train station, which was only 9 blocks away (did I mention I love free shuttles?). The staff at the hotel was quite nice too. THE MUST-DO: Avoid rooms on the 2nd floor at all costs. And order extra towels. They only give you 2 bath towels, which meant having to go all MacGuyver with a hand towel and a rubber band so my soggy hair wouldn't drip all over the floor. THE RECAP: We received 2 totally separate recommendations to try this place, both from co-workers, so we felt like we HAD to go. And while we were disappointed to be a week late for their sushi making class, which would have been a blast, we were SO glad we went. The first thing you should know here is that we are Sushi Gringos, we only eat the cooked stuff. So take this recommendation with a grain of salt. But everything was really tasty, the menu was full of innovative dishes, and the place was packed. That's got to be a good sign, right? We started with 2 appys to share: the vegetable spring rolls (which came with a mustard that will clear your sinuses right out), and on the recommendation of our server (who's hair was a cross between a Geisha Girl and a Hasidic Jew), we went with the Bangkok calamari. Sounds odd, but it was crispy and delicious with a miso chili sauce. 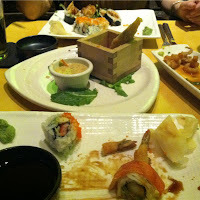 For our entrees, we each had a California roll (See? I told you were were lame!). Then Jodi had a vegetable tempura roll, and I went with a roll called the Hairy Mexican, just for the name, but it actually turned out to be yummy (see picture). Who knew? Of course, we washed it all down with a few Ichibans. And for the record, I didn't remember the name of the beer we drank, but Jodi did! Mind like a steel trap, that girl has. THE HIGHLIGHT: We showed up for the early-bird special to prepare for old age, but 2 hours later they needed to give our table to a big group. The manager asked to move our conversation over to the bar, and bought us another round. How nice was that? If it was New York they would have just breathed on us until we went away. 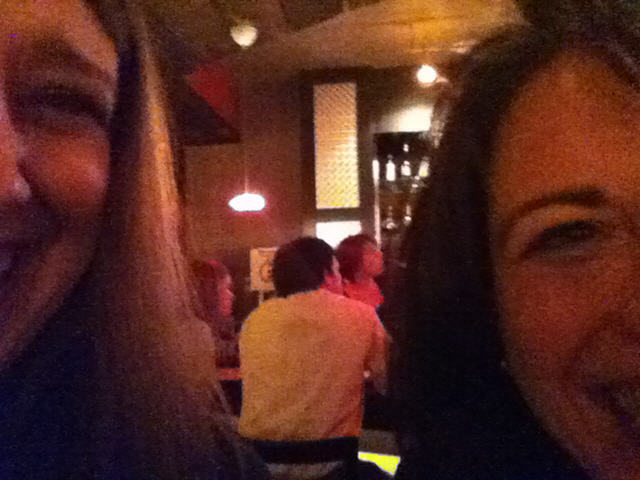 Once we were in the bar, we spotted the long-lost twin of our good friend's husband (follow that?). It was so uncanny, we sent them a picture (see picture). Unfortunately, it was from behind, but trust us -- they are IDENTICAL. THE MUST-DO: Order the calamari and the Hairy Mexican roll. They're fried. You won't be disappointed. THE RECAP: We went next door to continue the evening, since it was only like 9:00pm (we're old, but we're not THAT old). We grabbed a table, and within seconds, the bartender made a bee-line over to take our order. He even smiled! I resisted the temptation to be suspicious of his friendliness, and we took him up on his beer suggestion -- Magic Hat #9. He said it tasted like apricots, and you know what? It kind of did! This inspired a whole conversation about jam. Reminiscing about the incredible strawberry jam that Jodi's mom used to make for us back in college, lead us to the decision that we must become jammers. Whenever strawberry picking season rolls around, you'll want to make a PB&J date with us. Trust me. While we were chatting, we were also approached by an usher from the Opera House, who bellied up to the bar after work for a beer (or 8). He looked about 14, without a trace of stubble on his face and nary a hair on his chest. I'm pretty sure he came over with the intention of hitting on us, but luckily his designated driver (who was no less than 55) intervened. And Jodi and I went back to talking about jam. And couch doilies. And jam. THE HIGHLIGHT: Perhaps this trend is sweeping the nation, but both Mikimotos (see picture) and Ale House had giant jugs of public Listerine, alongside tiny cups, in the bathroom to ensure all patrons have fresh, germ-free breath. Jodi, knowing my aversion to touching anything other than soap in a restroom, jokingly poured me a cup. At first I gave her the stink eye. Then, I took a swig, swirled, and spit. She was totally flabbergasted. It's fun to surprise her after all these years. Nevermind, that it tasted like a grandpa smells. It was worth it. THE MUST-DO: Bring your own breath fresheners, mints, gum, candy, whatever. 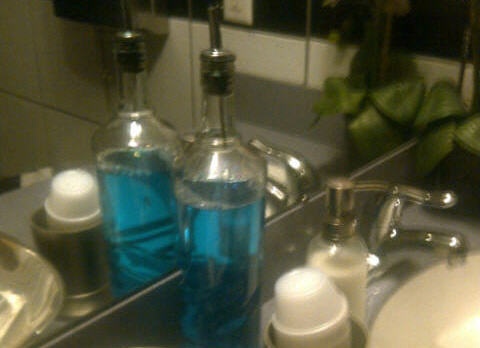 Listerine is just nasty. THE RECAP: Being the planner that I am, I programmed the number to the local taxi company into my phone before I left. I am a nerd. But it came in handy when we needed to get back to the hotel! We'd walked over to dinner since it was early, but the neighborhood wasn't one to hoof at night. Jodi's not big enough, and I'm not fast enough. So we called, and we waited. And waited. And waiiiited. Outside in the cold. For over 30 minutes. Really?!? Luckily while we were waiting we were kept company (and nearly mauled) by a pit bull. Once the driver finally arrived and we hopped in, we didn't realize how good we had it back on the sidewalk. First off, the car STUNK. And I live in NY, so I know a LOT about cab stinks. This one knocked me out. We were instantly smacked in the face by a coconutty stench that jumped in my hair and would not let go. Oh, and he drove like the car was on fire. 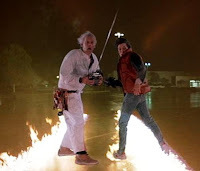 I kept waiting for us to hit 88mph so we could go back to the future (see picture), to a simpler time, before we ever set foot in this musky deathtrap. When the cab mercifully came to a stop and let us out, we were informed he could not break a $20. Seriously?? Probably spent all his cash on putrid air fresheners and speeding tickets. THE MUST-DO: Calling a cab when you've had a few brews. You should do that. But calling THIS cab? Ah, that's a no. THE RECAP: After cheating death, we were pretty hungry. We went straight to the the hotel bar, surely we could get a snack there. But sadly, the cook left. Keep in mind, it was only like 11:05pm. Not exactly a rager. So, we went to the front desk and rifled through a few takeout menus. The first place we called was closed too. (Really, Willy? And you WONDER why we didn't hit it off!) But Pete picked up on the second ring. I ordered us something called Mega Fries (see picture). Only I didn't just order 1. I ordered 2. Plus onion rings. Each thing was only $5, how could I know it would be this big (other than the obvious clue in the word, "mega")? 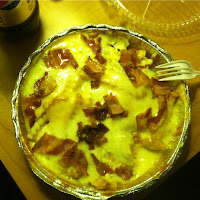 Fries smothered in 3 types of cheese, plus bacon. Times 2. This gluttenous snack was even hot when it arrived! Unfortunately, they only sent 1 set of silverware. So Jodi, being the selfless friend she is, gave me the fork. She used a combination of a knife and her fingers. Then, we feasted. THE HIGHLIGHT: The night sweats that hit us around 3am. Granted, we were in a king-sized bed, and the "constant fan" setting on the air conditioner, was neither constant nor cooling in any way. But we couldn't get up to adjust it because we were weighed down by the sheer amount of cheese we'd consumed. THE MUST-DO: If you do order the Mega Fries (and we're not suggesting that you do), have the good sense to put it back inside the delivery bag and place it in the hallway when you're done. The LAST thing you need is the grease wafting over all night, as not-so-constant fan turns off and on. So that's it. Roadi Trip #1, in the bag! 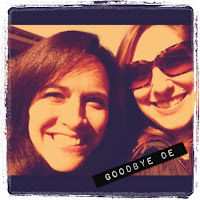 To summarize, we probably won't be back to DE any time soon (well... except for Jodi, she's got a wedding to go to in June). But if we DO ever go back, we'll go IN season, we'll avoid the 2nd floor of the DoubleTree, we'll eat another Hairy Mexican (roll, that is! ), we'll freshen up with some strong mints, we won't call Yellow Cab, and we'll resist the urge for midnight munchies. Did we get it right, or wrong? WE'RE ON THE ROADI TO... DELAWARE! Our bags are packed, and we're ready to hit the road. Delaware, here we come. OR you can follow on actual Twitter, if you are so inclined. Anyway, when we return from our trip, we'll post a full review of all the places we saw, shopped, ate, drank, and slept. And if you're realllly good, Jodi will post the stats as only she can -- everything from how far we traveled, to how much (or little!) we spent, to how many oddballs we encountered, to how much a Bud Light costs across the country. So, off we go! We'll leave you with a little traveling music to kick off our 1st journey. It's T-minus-6 days until DE!! I thought I'd get in the mood tonight with a Delaware-inspired film festival. So, imagine my surprise upon a quick Googling to find out that virtually NO movies are set in the First State. Hmm. While Chuck Palahniuk's debut is engrossing -- and educational -- a secret, after-hours, underground boxing club where aggressive soap salesmen beat the piss out of each other isn't exactly the blueprint I had in mind for our weekend. Jodi, on the other hand... well, let's just say you don't want to run into HER in a dark alley. So instead, I ate a Purdue chicken, which I charged to my Chase Visa. I washed it down with some Newcastle Brown Ale, only to find out a) I do not like brown ale, and b) it's from someplace in the UK, NOT New Castle, DE, so a FAIL on both counts. I then popped some Nexium (the little purple pill from AstraZeneca) to combat my stomach upset. Why? Because all these companies are located in DE! Except for the Newcastle. The Blue Hen Chicken is the official state bird. They are known for their fighting abilities. The Lady Bug is the official state insect -- not particularly known for their aggression, but quite well-known as a popular Halloween costume for little girls. University of Delaware's main campus is located in New-ARK. New-ERK is in my beloved New Jersey. They are spelled the same, but said differently. The 1st time the famous flag sewn by Betsy Ross (Jodi's great, great, great, great, great, great maybe grandma) was flown was over DE's Battle of Cooch's Bridge. Horrible name for a bridge, and a battle. In 1880, the 1st US beauty contest was held in Rehoboth Beach. Thomas Edison (?!?) was 1 of the 3 judges in this contest, called "Miss United States," which is considered to be the forerunner to the Miss America pageant. It is 1 of only 5 states having no sales tax. The others are: Alaska, Montana, New Hampshire, and Oregon. Horseshoe crabs are everywhere in May. They can go for a year without eating and have remained basically the same since the days of the dinosaur. Locals enjoy eating "scrapple," also called, "everything but the oink." The dish is made from cornmeal mixed with pig heart, liver, face, snout, ear, tail, and other parts too disgusting to be knowingly eaten. So, to sum up, really good thing we're taking Amtrak cause you can't fly there, it's probably still a smart idea to start a corporation, and we should unequivocally avoid the consumption of "scrapple." I love my bacon and all, but that's just nasty. Oh and we do NOT plan to throw down while we're in town. Or... do we? After all, the first rule about Fight Club is: You do not talk about Fight Club. Know anything we must do in Wilmington that won't leave a mark? Share it below! Remember when we said our first stop would be NM? I was sitting on my couch last night watching the Amazing Race and fueling the massive crush I have on Phil Keoghan, when I got a text from Jodi, on my zippy new phone that I love more than words. Lemme check… hmmm let’s see... oh yes! Nothing. Well, not anymore. Turns out she's heading down to Delaware, one of the many states on our list, and is in need of a traveling companion (that’s where I come in). Besides, we’ve been researching when to take our NM trip, and it seems like the best time to go will be in Sept/Oct. Ugh. Too far away! 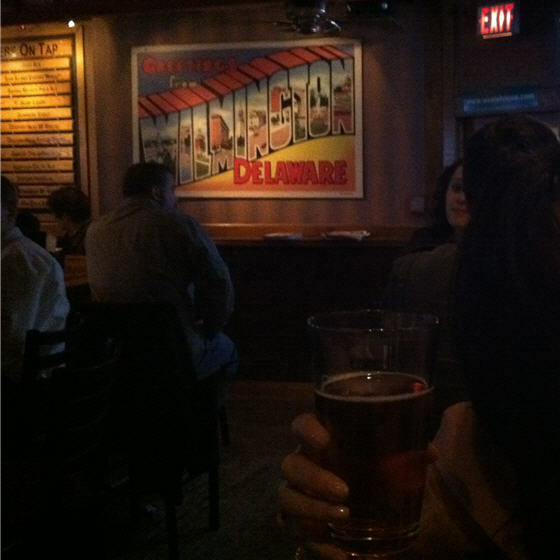 A quick trip to DE is the perfect solution. Plus, its nickname is the First State. Only thing is, we have NO clue what to do there. Looks like we’ll miss a jamboree for Dr. Seuss’s bday (which incidentally is today), and we’ll be a week late for a trip to the household hazardous waste exhibit down by the riverfront. It’s too early to see a Wilmington Blue Rocks minor league ballgame or to make a pit stop at a stock car race on Delaware’s International Speedway. There IS a Winter Bluegrass Festival going on while we're down there. And as tempting as it sounds to hear bands like the Scrapple Creek Runners, the Yankee Rebels, and the Jersey Corn Pickers at a Holiday Inn Select, I think we may have to pass on that particular adventure. Neither of us is prepared to become a Sister Wife at this juncture. But at least there’s tax-free shopping! And if the mood strikes, we could always start a corporation while we’re in town. Or… you know, just the shopping thing. So, our 50-year adventure officially begins in less than 3 weeks. Exciting! As promised, we’ll be tweeting from the road(i) so you can come along with us. I can practically hear you squealing with delight. Dela-where? Here we come! Got any tips for the Wilmington area? List them below. As you know, fate is sending us West for the 1st stop on our 50 year road trip. New Mexico, here we come! The Land of Enchantment. We’re still deciding which city -- or cities -- we should visit, so you still have time to vote below. We’ve already been to Old Mexico (by way of Acapulco), but I suspect this won't be the same. It was spring break and we were 21, so the details are a bit fuzzy. Like encountering a vast array of crusty public makeup in the ladies room of every nightclub we entered -- then feeling horrified that people actually use it. Or watching a matador run into the stands at a bullfight to present my roommate, Jen, with a spear that still had some fresh guts on it -- then getting that spear through airport security in her suitcase. And getting stranded in the middle of Acapulco Bay on a motorboat that ran out of “gasolino” -- then wildly flailing my arms to Jodi and our amigos back on the beach who mistakenly thought I was just waving hello. Suffice it to say, whenever we travel, it’s an adventure. So let’s learn what’s in store for us in New Mexico, shall we? The state also has more sheep and cattle than people, but who’s counting? Based on our experiences in Old Mexico, it sounds like we’ll be trading public makeup for healing crystals, bullfights for lizard races, and motorboats for hot air balloons. Good thing we still have all our teeth. Maybe we should enter an eating contest? Jodi may be small, but she is mighty! Those were the first words out of Jodi's mouth when we pulled up to Andros Diner in Fairfield, CT tonight. We were shooting for lunch at this dining institution from our college days (which coincidentally opened the year we were born), but a last-minute change in plans meant dinner instead. It also meant that her son decided to skip the picking party. Stood up by a 6 year old. Story of my life! The place hasn't changed one bit. The pink neon lights on the mirrored ceiling welcomed us home. We grabbed a booth and ordered the usual -- grilled cheeses with a side of fries and o-rings to share. The diet can start tomorrow. Then the bag came out. A 15+ year old red plastic beer cup from Clam Jam (a springtime weekend-long beach party at Fairfield U that was punctuated by events like Keg Races, The Landshark, The Running of the Calzone, and trips to the Super Duper Weenie Truck). Luckily, the cup had been washed. And disinfected. That girl is always thinking! All the states neither of us had ever visited went right into the cup. Then she gave it a good shake and I plucked out the puzzle piece sitting on top. I don't know much about NM offhand, except that it makes me think of the Road Runner, Route 66, Georgia O'Keeffe, and aliens. We'll need to do some research so we can make the most out of our trip. I smell a spreadsheet in our future. But first, we need to pick a city. That's where YOU come in. Tell us everything that's good, bad, and so bad it's good, below! We met in college when we were 18 (go Stags! ), and 20 years later, every time we go out, it's still an adventure. We thought about calling this blog 50/50, which could stand for 50 states in 50 years (and could also be the odds that we'll finish this quest). We're hitting the road(i), one trip at a time, so buckle up and come along for the ride!